Have you ever wanted to sneak under the barrier in an art gallery and touch the sculptures and paintings? 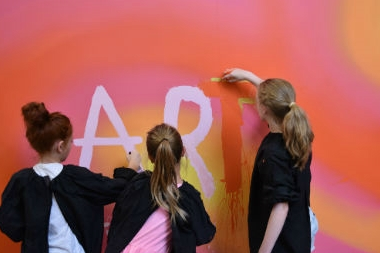 Over four days with four professional artists, four artworks were destroyed.Come and journey through the relics of the sculptures and paintings that have been destroyed and reimagined by children at ArtPlay. Age: 5 to 12 years. Each child must be accompanied by an adult.